The use of money in the UK has changed throughout history. This information is intended to help understand the currency used and the values involved. 1976 (Decimal Day) to the present. 1950 - Typical manual was of £6 a week and £14 for higher paid workers. 1850 - Typical manual wage of 1/- 8d a week and 3/- for higher paid workers. The ten shilling note was the smallest paper note denomination. The pound note was the main currency unit for most transactions. The 5 pound note was larger that the one pound note. 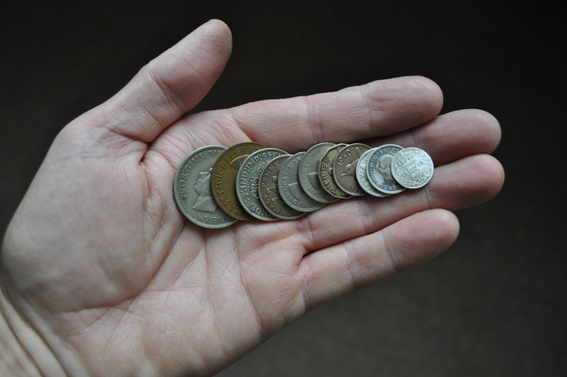 "Silver coins" were made of nickel silver alloy and were the higher denomination coins. 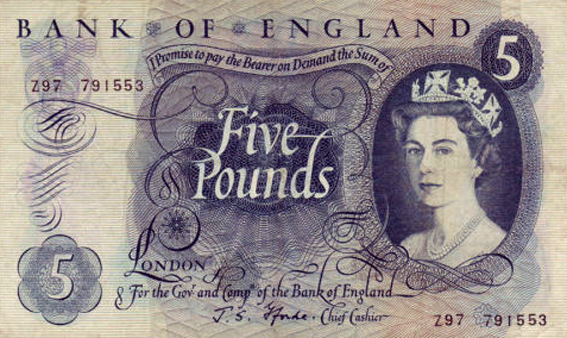 Shillings came in English (C2) and Scottish (C1) forms. 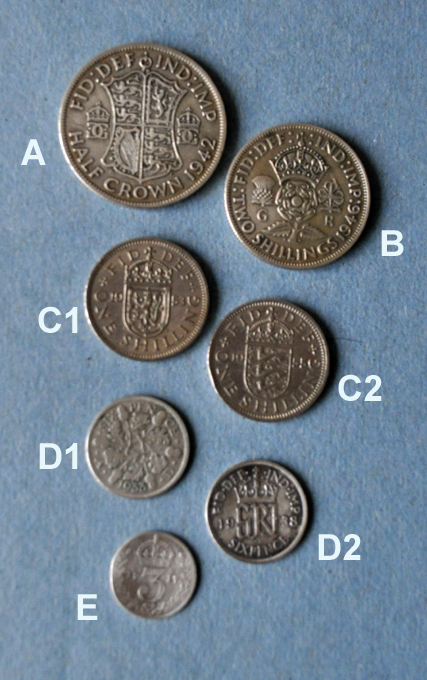 The sixpence design varied over time. 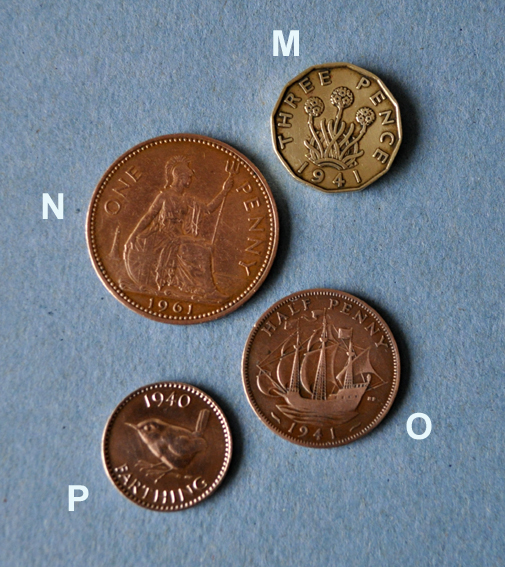 Small denomination coins were generally called "coppers". They were made of base metal and copper alloy and pressed with a ridged rim.